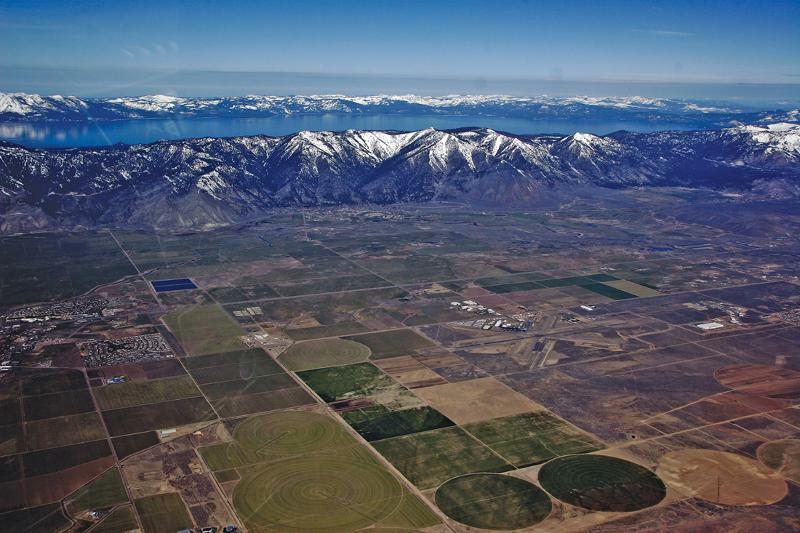 Northern Nevada Development Authority (NNDA) is the state-designated Regional Development Authority (RDA) for the Sierra Region of Nevada: Carson City (state capital), Douglas County, Lyon County, and Storey County. Established in 1981, the organization is a Nevada domestic nonprofit corporation. 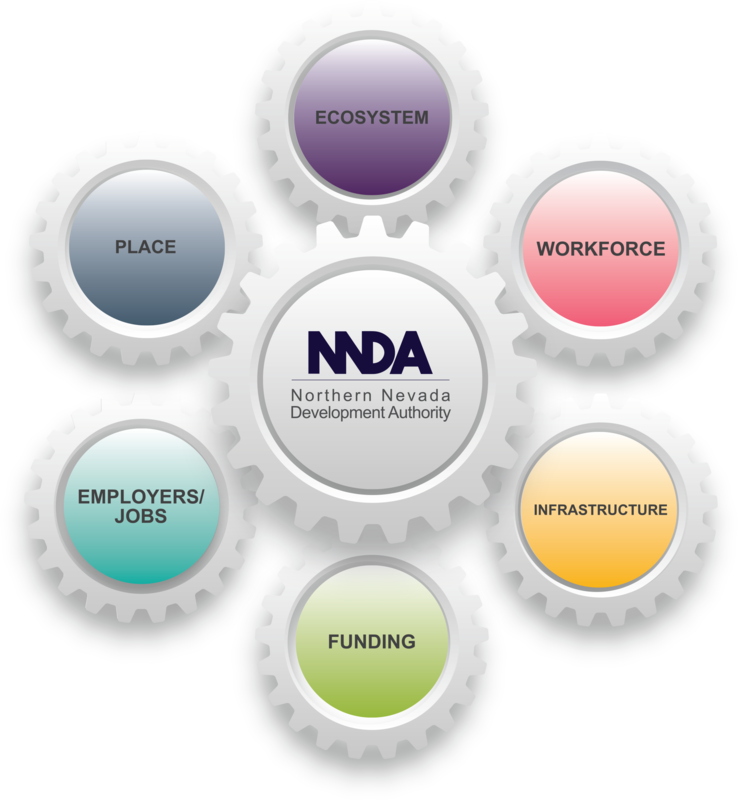 NNDA helps to grow and strengthen the region’s economic ecosystem, and facilitates business-to-business resources to support existing businesses. Nevada’s Sierra Region is the Silver State’s third largest metropolitan area, includes Lake Tahoe’s south shore and encompasses a diverse set of industry sectors such as manufacturing, agriculture, mining, health care, aerospace, rail, logistics, tourism, and many others. It has a land mass of 3,196 square miles and a population over 161,000. Though the Sierra Region is very large geographically, its communities are all interconnected and interdependent. What affects one area, town, city or county, affects the entire region. This is quite different from traditional urban areas where economic impacts tend to be concentrated within a more compact geographic area. 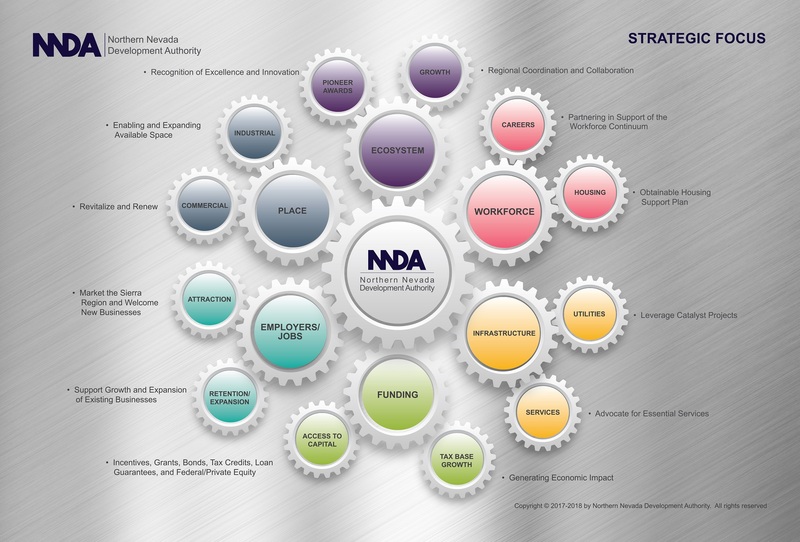 It is the reason that NNDA takes a regional approach to economic development for achieving successful growth of the region’s the economic ecosystem.